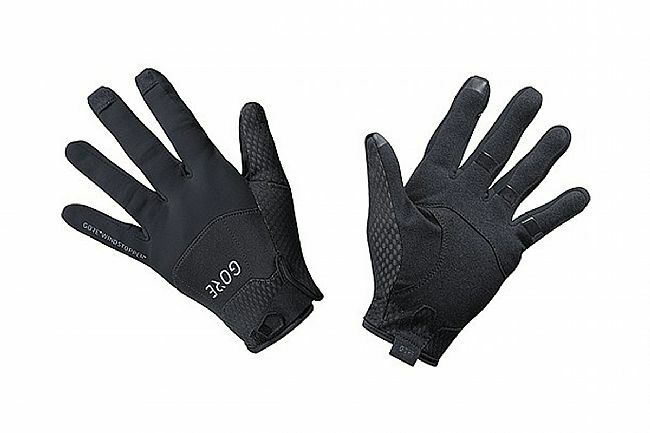 Gore Wear's C5 Windstopper Gloves offer robust wind protection and medium thermal insulation without compromising dexterity thanks to pre-shaped fingers and box-end finger construction. Grippy silicone on the thumbs, forefingers, and palm facilitate a secure grip on the bars. Reflective detailing enhances visibility in low light. Velcro cuff closure at wrist. Grippy silicone on thumbs, forefingers, and palm.